You have 72 hours to buy in! Enjoy a spirited drive with the latest from the Mercedes-AMG range followed by a magnificent lunch at the Port Phillip Estate winery on the Mornington Peninsula. The selected route allows for freeway and scenic rural countryside driving. Upon arrival at your destination, you and your guest are presented with a sumptuous lunch and refreshments. 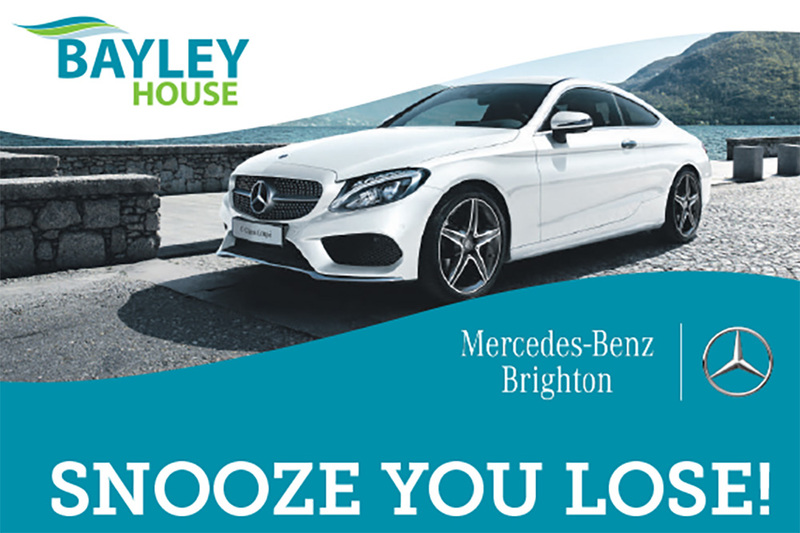 Enter by purchasing one or more of the Bayley House Mercedes Drive day experiences. Only 10 drive experiences available for purchase. The cost of each purchase is $1,000 which includes you and your guest. The money from each purchase is donated to Bayley House. Each purchase includes the opportunity to enjoy a spirited drive with the latest car from the Mercedes-AMG range, followed by a magnificent lunch at the Port Phillip Estate Winery Red Hill. Upon arrival at the destination, you and your guest are presented with a sumptuous lunch and refreshments.